Editor(s): Deustua, S.; Allam, S.; Tucker, D.; Smith, J. A. In the Spring of 2012, a group of 65 researchers gathered at Fermilab to discuss their work, exchange ideas, and form new collaborations in the important area of the calibration and standardization of large surveys and missions in astronomy and astrophysics. The primary goal of this conference was to foster communication among the various large surveys and missions – allowing for the exchange of information regarding calibration requirements, methodologies, and strategies for meeting those requirements – for the benefit of all. The intent of this volume is to document the state-of-the-art of the science of calibration in this critical area and, we hope, to begin to lay the foundation for establishing common, minimum standards for calibration across the electromagnetic spectrum. Topics include the broad areas of astrometry, photometry, and spectrophotometry. A relative novelty of this conference and these proceedings is coverage of these topics spanning wavelength regimes from the very short (x-ray) to the very long (radio and millimeter), and not restricting discussion merely to the traditional ultraviolet, visible, and near-infrared wavelengths. Common issues discussed include the definition and maintenance of standard systems, inter-calibration between systems, the effects of Earth’s atmosphere on calibrations, and the calibration of instruments and telescopes before and after deployment. 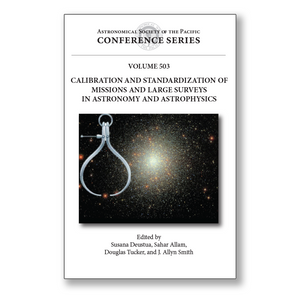 As a whole, the papers in this volume cover the challenges in providing the accurate and precise calibrations necessary to achieve the demanding science objectives of 21st Century surveys and missions.